Grande um quarto 800 sq. Ft. Apartamento de cima, no meio das belas Black Hills. quarto extra grande com 2 camas queen size, sofá-cama na sala grande - acomoda até 6 pessoas. Cozinha totalmente equipada com tamanho completo fogão e geladeira, microondas, cafeteira e torradeira. edifício privativo e entrada. grelhadores a gás e carvão e mesa de piquenique. fogo ao ar livre (como permitido). Ar condicionado, Wi-Fi, boa recepção de telefone celular, televisão por satélite e leitor de DVD. localização tranquila nas montanhas arborizadas fazem fronteira com a propriedade do Serviço Florestal. Desfrute da vida selvagem fora de sua janela do quarto. Duas milhas a NW de Custer. Perto de Custer State Park, Monumento Crazy Horse, Monte Rushmore, Parque Nacional de Wind Cave, Jewel Cave National Monument e muito mais. Nenhum depósito de limpeza necessária. Agradecemos a sua ajuda para nos permitir continuar a oferecer este benefício, deixando a propriedade na mesma condição de quando você chegou. This property was perfect for us! With it just being the two of us, this property was just perfect and it was so conveniently located close to many things we wanted to see. It was equipped with everything we needed, the beds were very comfortable and we also had all the privacy we needed. The owners made the reservation process very easy and responded quickly to any questions we had. Thank you Gary and Linda for helping us have such an enjoyable vacation. We hope to come back in the future! Thank you so much for staying with us. We are so happy that you had a great time while you were In the Black Hills.We love to share our little piece of heaven with with our guests. We enjoyed our 6 night stay, it was the perfect location for us to explore Custer and all the surrounding areas! The kitchen and entire apartment was stocked nicely with everything you’d need while staying there, we were even able to grill a couple nights. We enjoyed the cooler weather (for us) and sleeping with the windows open for a couple nights. You won’t be disappointed picking this apartment as your homebase for a trip to Custer!! Thank you so much Marsha for staying with us. You and your daughter were a delight. Excellent location, very comfortable and clean. We enjoyed the quiet, and peaceful area very much. We would gladly stay again when we travel west! Thanks so much for staying with us. We loved having you. We loved our stay at Laramie Bluffs! Gary and Linda were amazing hosts and it was a joy to get to know them and their family. The cabin is clean and had everything we needed to have a wonderful stay. I especially appreciated the stocked kitchen and being able to cook meals for my family. We enjoyed the fire pit and outdoor patio area. The kids had fun exploring and climbing the rocks and hills right behind the house. Beautiful area, great stay! 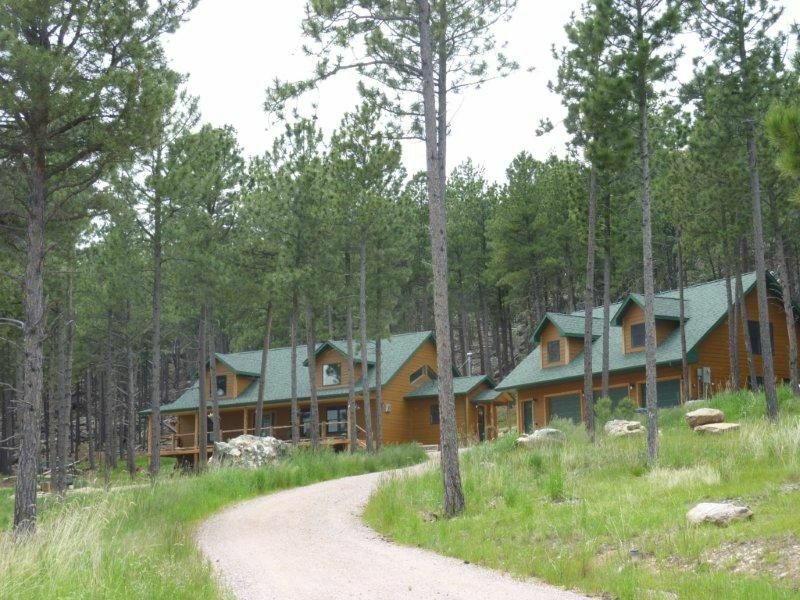 Spacious property tucked away but conveniently located near Custer State Park. Very nice decor, super clean, and well stocked. Will definitely try to stay here the next time we visit the area. Mt. Rushmore, Sylvan Lake, Crazy Horse Monumento, Needles Highway, Wind Cave National Park, Custer State Park Wildlife Loop, Black Hills Playhouse, Mammoth Site, Jewel Cave Monument, escalada e caminhadas florestas nacionais e Custer State Park. Refundable until 60 days prior to arrival date. No additional cleaning fees are required. A damage deposit is not required at this time. Please treat this vacation property as you would your own to keep expenses down. All towels and linens are supplied. No daily housekeeping. Non-smoking unit. Standard rate of $125/night applies from October 1 - May 20. Standard rate applies to Jan 1-May 20 and Oct 1 - December 31.